Perfectly timed for the fourth anniversary of “The dress” whose color scheme divided the Internet, differences in the way people see color has emerged again. While the white-and-gold or blue-and-black dress taught us something about the science of vision, inconsistencies in the way people see the colors of snail shells could change some thinking about genetics. Grove snails (Cepaea nemoralis), are among Europe’s more common large snails and come in a pretty diverse range of colors. While some have shells with racing stripes, others are all of one hue, but categorization can be challenging. This creates some difficulty when scientists wish to study the distribution of different shades. When Dr Angus Davison of the University of Nottingham asks volunteers to report snails’ colors by location, the accuracy is compromised if one person’s yellow is another’s brown. “The problem is that there are obvious differences in how humans perceive and categorize their color, making it very difficult to compare the different types,” Davison said in a statement. 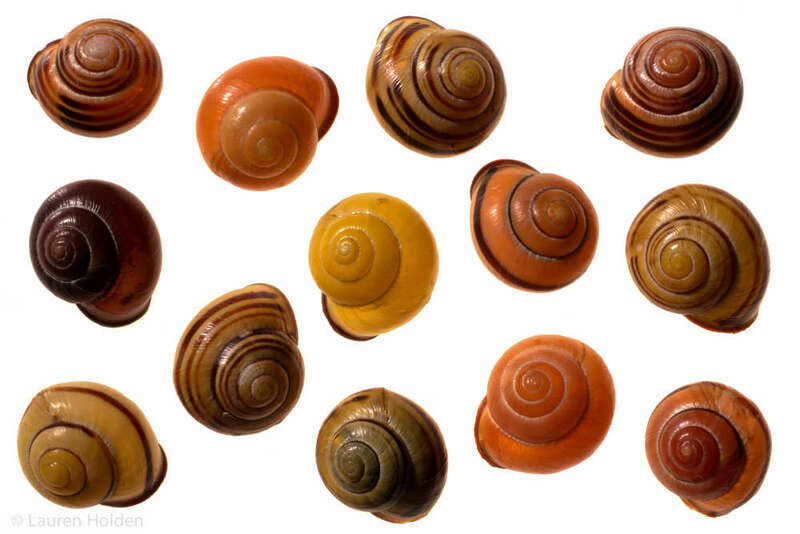 Stripy shells aside, C. nemoralis are usually described as coming in yellow, pink, and brown shades. It’s expected the variation reflects the color that best provides camouflage in particular environments. Unable to run or fight back, the snails should evolve colors that hide them from the birds that eat them. To measure color objectively, Davison used a spectrometer to record the distribution of the wavelength of light reflected off shells from snails collected by volunteers across Europe. For consistency, the spectra was always collected at a 45-degree angle and a constant distance from the shell. Before this, however, he classed the snails himself based on color and banding, and had a student do the same thing independently. Manage all of your emails from a single screen, organize events with cutting edge technology. Get this Up-to-date "List Building 3.0 Biz in a Box" with PLR Rights and start cashing in huge by selling it as your own. Davison reports in Heredity the spectra helps explain why he and his students didn’t always agree. Although three distinct clusters were found there was continuous variation in the snails’ coloring, so a lot of snails fell between the clusters. The continuity was unexpected because it was thought a single super-gene controlled the color, like those that made Mendel’s pea flowers yellow or green, but not greeny-yellow. The snails represent a good opportunity to study evolution in action. Being small and common, they make it possible to sample a vast number of individuals across many different local environments, in a way most other animals don’t. Moreover, slow-moving animals make easier study subjects and few are slower than snails. Some variation was found to be geographic, for example, yellow snails were most common at mid-latitudes, but the continuous variation in color undermines efforts to make simple matches between habitat and color. Consequently, the relationship between a snail’s ecosystem and its color scheme could prove very tricky to explain, and the genetics behind the colors are clearly more complex than we expected.